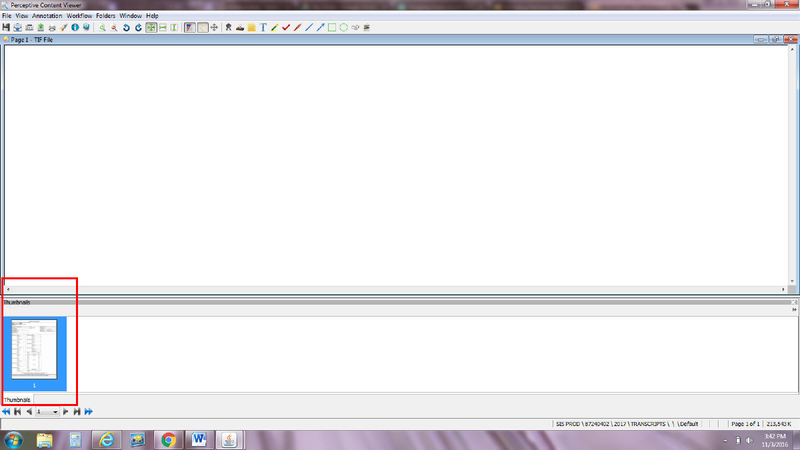 While working in WebNow users may encounter a blank page when attempting to view documents. Some documents may be coming into the Imaging system too large to display properly in the WebNow viewer. Note: If you are unable to login to WebNow, it may be a different issue; please contact the ITS Help Desk or your local IT department. If you’re seeing a blank page in the WebNow viewer that is similar to the image shown, you can use one of the following workarounds. 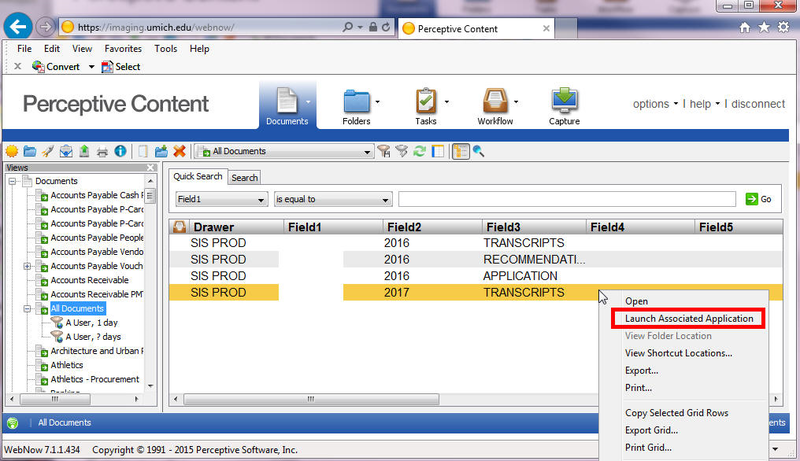 Use the Perceptive Content client application instead of WebNow to view the documents. Installation instructions can be found here. Use the "Launch Associated Application" feature in WebNow to display the documents. Right-click on the document from the list of search results to select this option. Use the "Launch Associated Application" feature in WebNow to display the documents. If you are already in the viewer window, click the Rocket icon.